On the tails of his successful "Shoot To Kill" (2014), Cole has penned "Heads You Die", which will be released in the UK next month following its announcement at the Cheltenham Literary Festival in October 2015. For the first time in the Young Bond series, the Paperback and Hardback will ship concurrently. 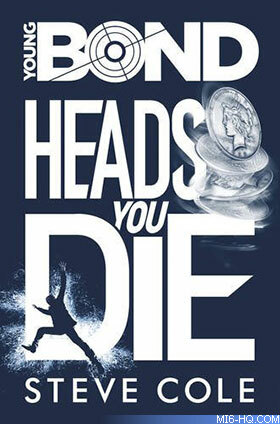 "Heads You Die" will be published in paperback by Red Fox in the UK. Red Fox is an imprint of Random House that publishes a wide range of paperback books for various age groups. Doubleday Childrens will release the hardback. The novel will also be available for purchase on Kindle. James's Cuban holiday has become a nightmare mission to save an old friend from a villain who has perfected 1,000 ways to kill. With corrupt cops and hired assassins hot on his heels, James must travel through Havana and brave Caribbean waters to stop a countdown to mass murder. Fates will be decided with the flip of a coin. Heads or tails. Live or die. Steve Cole is a best-selling children's author whose sales exceed three million copies. His hugely successful "Astrosaurs"young fiction series has been a UK top-ten children's bestseller and been published widely internationally. His several original "Doctor Who" novels have also been bestsellers. An original comedy, fantasy and adventure writer, Steve's work includes a broad range of books, most recently the "Secret Agent Mummy" series for younger readers, "Stop Those Monsters!" and the explosive Young Bond title "Shoot to Kill". 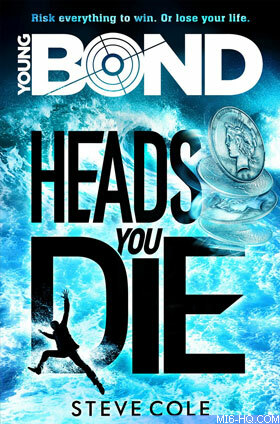 His next Young Bond adventure "Heads You Die" publishes May 2016 with a further adventure for the teenage James Bond planned for publication later this year.